Fearnet has some minor spoilers about the first few episodes of Dexter Season 8. Check out after the jump, 5 things to keep an eye out for in the final season of Dexter, about Charlotte Rampling aka Dr. Evelyn Vogel, Dexter and Deb, the new 'Big Bad' and more! -Charlotte Rampling as Dr. Vogel is one of the most important guest stars in the entire series. She plays a huge role in the season, and becomes a very close confidante to Dexter - very quickly. 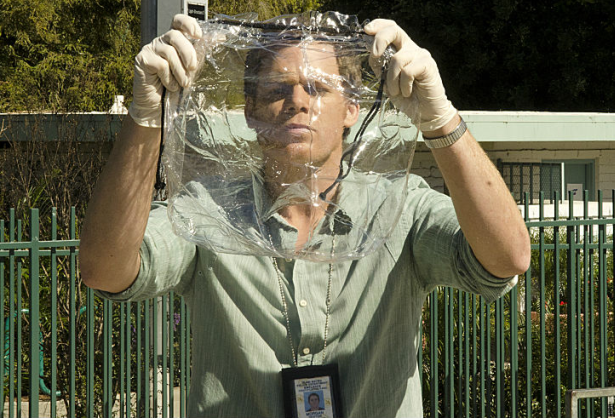 Dr. Vogel knew Dexter as a child, so she has a certain amount of insight into who he is. I’m sure you can figure out how Vogel fits into the story, but I don’t want to be the one to spoil it for you. -Who needs who more: Dexter or Deb? Dexter has always taken his role as the older brother very seriously, and he has always looked out for his sister. This hasn’t changed, and as Deb spirals downward, Dexter does everything in his power to catch her. Deb doesn’t want to be caught, and Dexter starts to wonder if he is trying to rescue Debra because he loves her, or because he doesn’t know how to be human without her. I sense this will be an underlying theme throughout the entire season. -This season’s “big bad” is known as The Brain Surgeon. Masuka came up with that moniker; I think you can guess why. -More insight into Dexter’s past than ever before. We will learn more about Dexter’s childhood, and about how Harry developed The Code. This season has Dexter’s first cannibal. Between Dexter and Hannibal, maybe cannibals are making a horror comeback? Anyway, Dexter’s response to the cannibal is quite enjoyable.